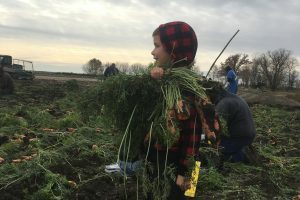 On a Hutterite colony, typically one couple is in charge of the vegetable garden. They’re the ones who decide what will be planted, when the garden needs weeding or produce is ready to be picked. For these tasks, the women’s work group and sometimes the men and older children will help as well. When it’s a smaller task, like digging a few boxes of carrots for the kitchen, the gardener couple will do it with a few Dienen, young women. I have many happy memories of helping Josh Vetter and Kate Basel, my aunt and uncle, when they were the gardeners at our colony. One memorable autumn task for me is Fasielen dreschn, harvesting dry beans. We had combines, of course, but unlike today’s gardeners, Josh Vetter preferred the old way. “Girls, you can start pulling out the bean plants,” Kate Basel announced when we arrived at the garden. “Posts ober auf! Se sein zimblich truckn. Be careful they’re very dry.” The sun-dried, brittle beans sang their crackly harvest song as we worked. Using pitchforks, we placed the plants on one half of a huge tarp, then pulled the other half on top of the plants, completely covering them. With his little garden tractor, Josh Vetter drove back and forth on the tarp a few times. This broke the pods, so the beans fell out. After that, the tarp was lifted, the plants thrown out and the beans, plus a lot of plant bits and dirt poured into a huge container. “Who needs a combine, when we can thresh like this.” Josh Vetter quipped from his perch on his Farmall A. “Geat’s nit guet?” I agreed with my uncle, it was fun, because it was like stepping back into pioneer days. Much as I enjoyed this process every September, the beans were of no significance to me. I didn’t enjoy eating them and certainly wasn’t aware that there was anything special about the variety we grew back then. I probably didn’t even know that there were numerous varieties. These beans were pale green with a distinct black rim around the eye. The ones we grow now are white and smaller in size. For the most part, we cook the beans and serve them with sausages. Left overs become pork and beans to be served with the fries at supper, or soup the next day. Intrigued, I sent a message to the author. She didn’t know much more than she had in her article, but suggested I contact the Seed Savers Exchange in Iowa. 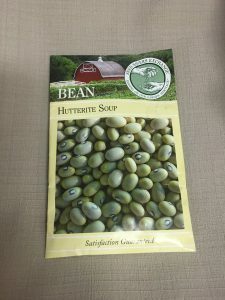 Upon researching via Google, I found a website that boasted: “Hutterite Soup Beans make a soup unlike any other bean.” Other websites described the soup from these beans as “rich, delicious and creamy”, and also have their origin in the bean’s description. I asked other Hutterites whether they ever heard of the heirloom beans. Few knew anything about them or had only a vague memory. However, one gardener couple has been growing them for a number of years, after buying a package from the Seed Savers Exchange. They were told that the beans cannot be bought in bulk. Therefore, they save some of their beans every year for seed – for their own use and to share with others. They kindly offered me some. I plan to offer them to our vegetable gardener in the hopes that we’ll start growing Hutterite Soup Beans once again. Only this time, I know the story behind them. As we celebrate Thanksgiving, I’m in awe that a late-nineteenth century Hutterite gardener had the faith and foresight – before crossing the Atlantic on the S. S. Hammonia – to tuck a bag of dry beans into his trunk. 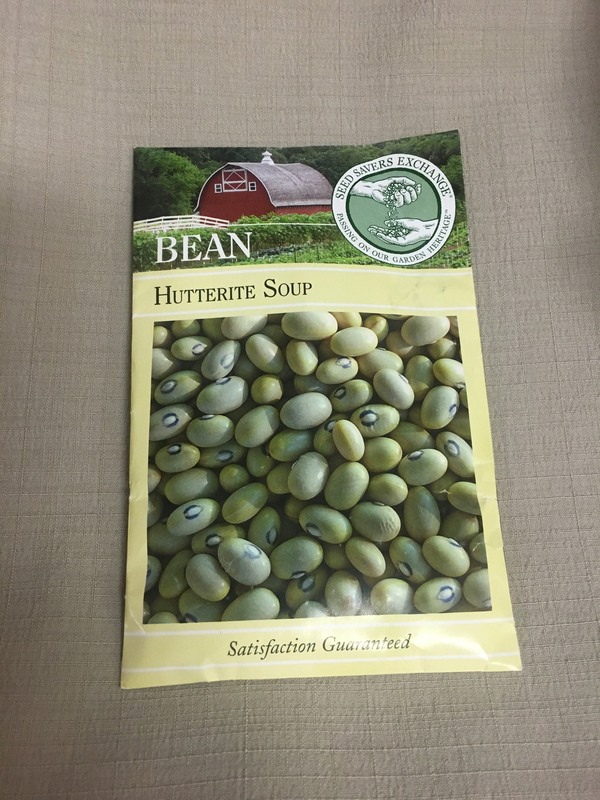 Over a hundred and forty years later, they are featured on national seed catalogue pages as heirloom seeds – registered Hutterite Soup Beans! I am fascinated with heirloom seeds and I think it is so important that we do not lose original and unaltered seed. 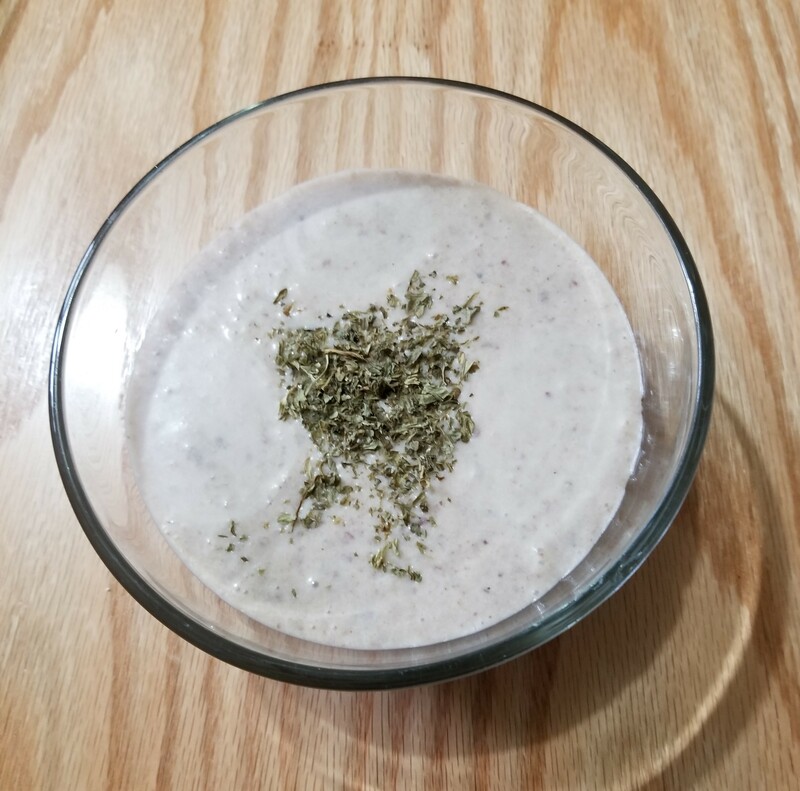 I often wonder if, perhaps, genetically we should eat what our ancestors ate for good health. I have been reading all of the articles on this website this evening and I feel like I arrived home. I was born and raised a Roman Catholic and I love it, but I must say, all of the things that I’ve read on the site are the things I have come to believe on my own. Things that don’t exactly mesh with the Catholic church. I’ve never been able to understand why we aren’t all pacifists. That seems elementary to me if we are going to follow Christ. I have never heard of the Hutterites until this evening and I love you guys! I will order these seeds from Iowa and I will use the wind blowing the chaff away technique. Thank you! Oh, my goodness, Linda, Seed Savers Exchange doesn’t seem to have them any longer! Thanks for reading my post, Ginene and for commenting on it. I sent you an email…perhaps I can put you in touch with someone who can sell you heirloom bean seed. I am looking for a seed catalogue that your community furnishes. Could you please send one to me please. thank you. Hi Grace, I’m sorry we don’t have a seed catalogue, but you could try Baker Creek Heirloom Seeds. I believe there are also a few other seed companies online that carry them, just Google ‘Hutterite Soup Beans’. I hope you don’t mind, I took your address out of your comment before posting it.